I haven't done a favourites post since December; in between travelling, illness and just downright bad time management on my side, there are so many ideas in my mind but not enough publishing slots in a week. I went from scheduling everything in my head to writing everything in a planner which by the way, was the worst idea I came up with as I hate writing and am too lazy for it and finally, scheduling everything in my MacBook calendar and setting alerts for myself as a reminder which has been the best way for me. My problem is so far I only schedule in PR samples but none of my own ideas and I think it's high time to change that. Anyhoot, after the long intro that has nothing to do with this post and was more of me ranting about my lack of organization skills, let's get to why we're here today. March was a very busy month as I was testing, loving and hating so many new brands and products which made the effort of narrowing it down to the best few items extremely tough. 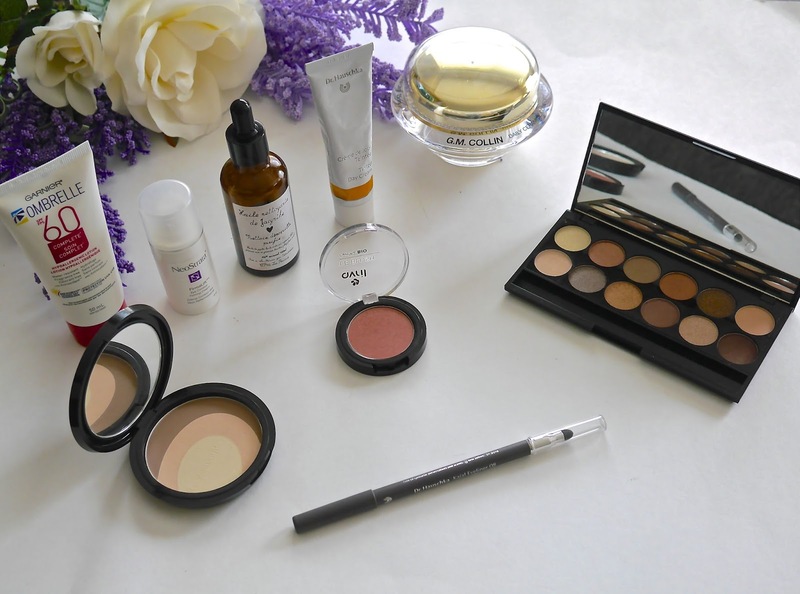 There are more makeup and skincare than my usual favourite posts but there have been so many good ones in March. The sun is out and shining bright the past couple of weeks and you know what that means; sun-block and my go to has been Garnier Ombrelle SPF60. Light, non greasy and acts almost like a primer to my foundations, it's everything I look for in my sunblock. 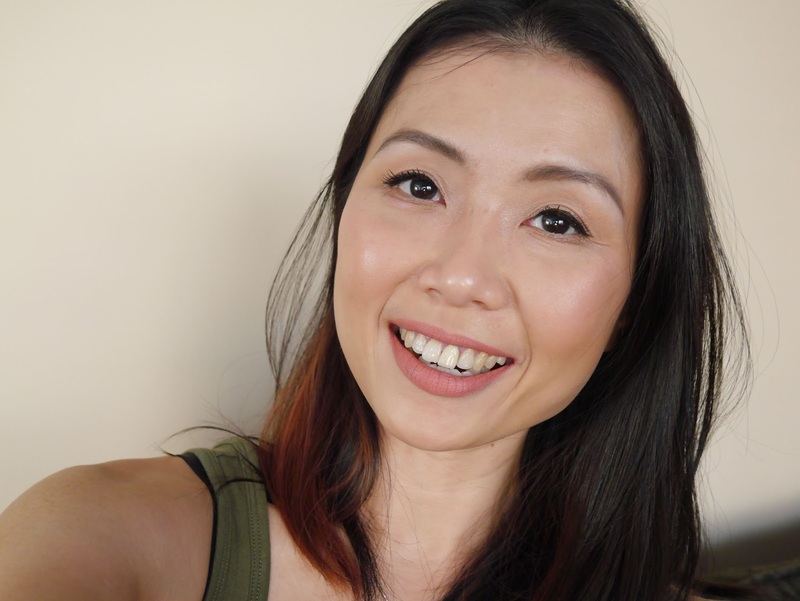 Neostrata FirmaLift Eye Contour* (reviewed here) has been my go-to eye cream for the past couple of months and it's hands down one of the best that I have ever used. It's light but moisturizing and perfect under makeup. Is anyone surprised that Les Soins de Jacynthe oil cleanser* (reviewed here) made it into my March favourite list? I'm close to finishing the bottle and have another bottle of oil cleanser to go through and I plan to repurchase. It removes the most stubborn makeup easily while leaving my skin feeling hydrated instead of dry and stripped, basically everything that my dry skin craves for. Love! If you're wondering why Dr. Hauschka Tinted Day Cream (New Formula)* (reviewed here) is listed under skincare instead of makeup well, it's essentially a moisturizer and it's a very good one. If you are not a fan of foundations, BB, CC and every darn alphabet that makeup brands have managed to come up with then this is the right product for you. It's a tinted moisturizer which adjusts to your skin tone, leaving it looking sun kissed and radiant while keeping your skin hydrated, healthy without making it greasy. 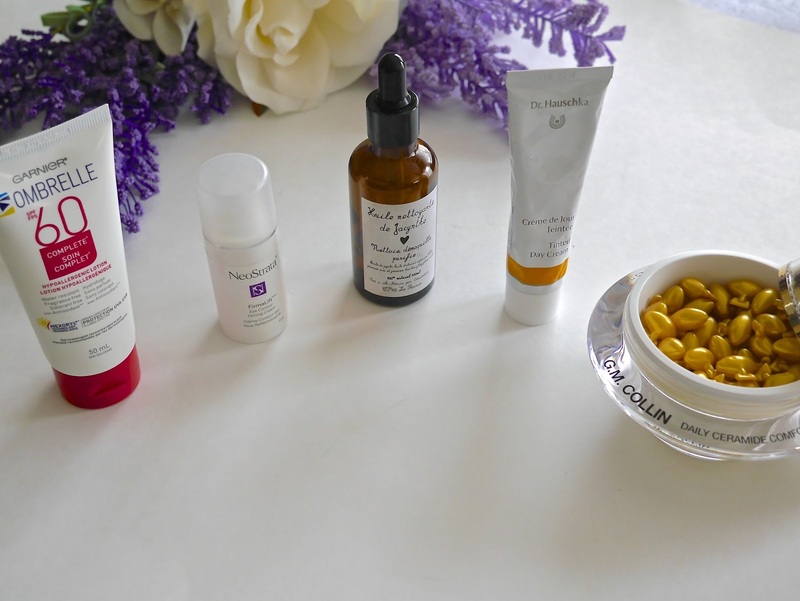 My skin has been in a tip top condition pretty much the whole of March and it's all down to G.M Collin Daily Ceramide Comfort* (reviewed here). These little capsules are heaven sent to my skin and I have never seen my skin looking this healthy, hydrated, smooth and radiant. If you're looking for something a little special for your skin then I highly recommend checking this out. Dr. Hauschka Balancing Teint Powder* (reviewed here) is a fresh rose scented, finely milled powder that magically blurs out my pores and any minor imperfections. When it is paired with Dr. Hauschka Tinted Day Cream (New Formula)*, they are match made in heaven while leaving my skin looking flawless but natural, healthy and radiant. Avril Natural Powder Blusher in shade Rose Praline* (reviewed here) is hands down one of the prettiest blushes that I own. It's a soft rosy peach that gives the most natural flush on my face and easily lasts 6-7 hours on my dry skin without primer. 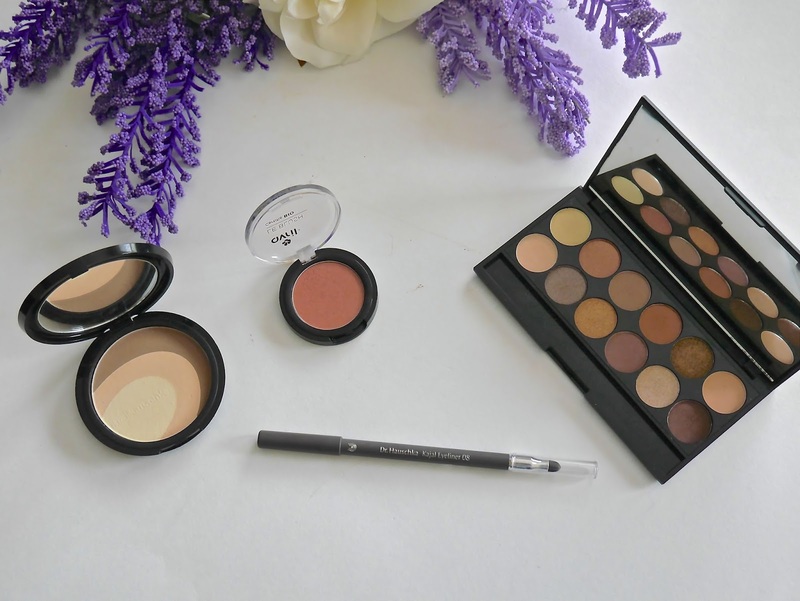 I have been reaching for Dr. Hauschka Kajal Eye Liner in shade 08 Taupe* almost every day either to line my eyes for a soft natural look or to do soft smokey eyes. It's pigmented, soft and glides so smoothly on the lids and it's one of my favourite eye liners ever. And as always I stay true to myself by saving the best for last. I am sort of cheating with this palette as I only received it on the last week of March but guys, let me tell ya, I am officially in love with Sleek i-Divine Palette (A New Day)*. I am not going to say much here as a full review on it and another palette will be up on the blog soon but I am O.B.S.E.S.S.E.D. Hint: the last time I was this head over heels in love with a palette was with Urban Decay Gwen Stefani Eyeshadow Palette so you get the drift, oh yea! Little tyke has officially arrived at the 'terrible twos' stage. There's lots of tantrums whenever he doesn't get his way; lots of screaming, crying, laying on the floor and whining hoping to get his way. It's a battle of wills and I discovered I have a previously unknown super power called 'patience'. The scariest part? He is talking....so we have to be extra careful not to drop the f-bombs and by we, I mean me. 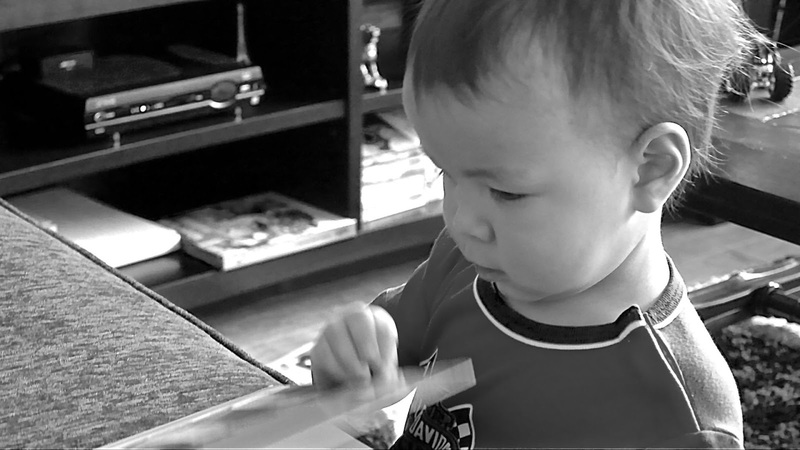 So far the words that he's saying are a mixture of Mandarin and English which is great because we're bringing him up to be bilingual. The weather has been absolutely beautiful on our side of Canada too, the sun has been shining bright and the weather has been warm enough for us to start venturing out in shorts! Yay to Spring! So that's it for March, now let's talk about you, how was your March? *Items marked with (*) were received for free but my thoughts and opinions are 100% unbiased, honest and my own. There is no place for any sort of BS here.